Is this a good deal for a used custom kit? Forced Induction 1/4 Mile Times? 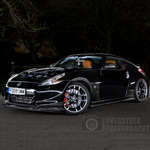 370z Pop Chargers / Cone Intakes worth bothering with? dose the 370 have a afr wideband sensor already? In the market for Stillen Supercharger kits?